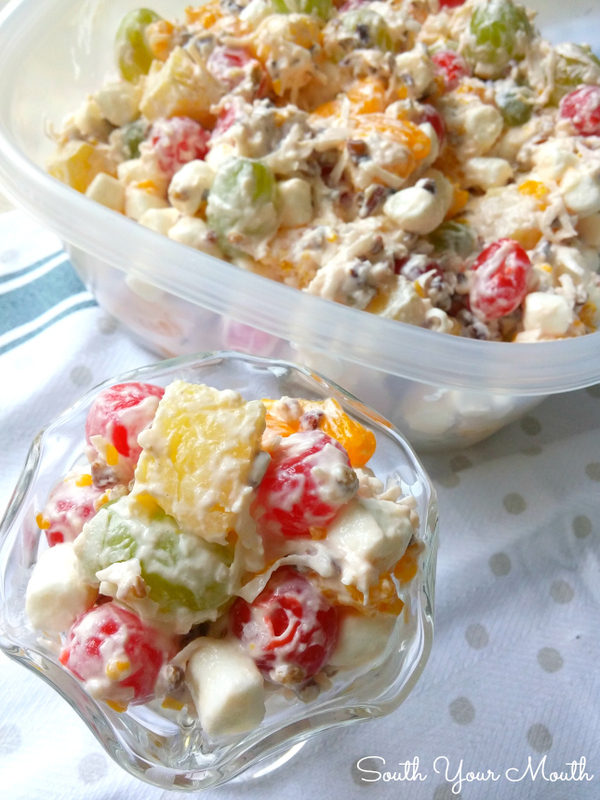 This retro fruit salad is simple and perfect with pineapple, mandarin oranges, cherries, green grapes, pecans, coconut and sour cream. Do you have one of those go-to recipes you always make when you need to bring something to dinner? This fruit salad is it for me! Growing up this was one of those “special occasion” recipes Mama always made for Thanksgiving or Easter dinner or when we needed to bring something to a potluck or family dinner. This is my go-to to-go recipe! I just snort-giggled at my own play on words there. I need more coffee. My kids have it so easy. They have no idea. Now I just grab some GladWare® and call ‘er done. I don’t even bother mixing it in a separate bowl. I just whip it up right in the container, pop the lid on, toss it in the fridge then throw it in the car when it’s time to go. It seals up nice and tight (unlike those glass dishes) which not only keeps the juice off your corduroys but keeps everything super fresh so the leftovers don’t go to waste. And the BEST part? It’s not the end of the world if the container doesn’t make it home with us. But seriously, when it comes to to-go recipes, can we all just take a minute to appreciate plastic containers?? Back in the day we had to bring whatever food was prepared in our “good” dishes. Remember that? I can remember sitting in the back seat with no seat belt with a glass casserole dish on my lap with the lid taped on with masking tape. And every time Daddy made a hard left some sort of liquid would ooze out the side and get all over my corduroys. Yuck! 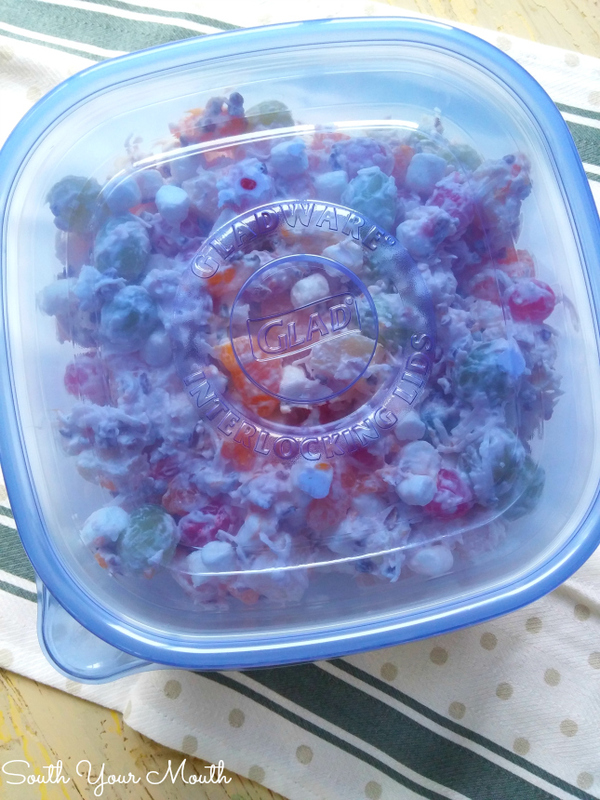 For the fruit salad, I use the GladWare® Family Size Containers. The recipe fits perfectly in the container and it’s big enough to use as a mixing bowl. This is literally a one-dish wonder. And speaking of GladWare®, I’ll be bringing a full assortment with me to Mama’s house for Thanksgiving. Some will be filled with prepared food when I get there but most will be empty because I’ll be stocking up on leftovers when I leave! OK, back to the fruit salad! There are several variations of this recipe out there but this is how my family has always made it. And I’m tickled to tell you my kids think it’s just as special as I did when I was a kid and Mama brought out her special fruit salad. I'm sure you could use fresh fruit instead of canned but this is just so good as-is I've never wanted to change it much! I add green grapes to mine (which I'm not sure is part of the original ambrosia recipe) because I like the pop they give... like, they pop in your mouth and the green color pops. Ha! I'm just full of word plays today! And I'm still laughing at my own jokes. And I still need coffee. Combine all ingredients except mandarin oranges in a large bowl then gently stir until well combined. Fold in mandarin oranges (we do this last because they are more fragile than the other ingredients). Cover and refrigerate until ready to serve. As Mama told me the first time I made this, use as much or as little of each ingredient as you like (especially with the sour cream, pecans and coconut). There's no right or wrong way to make this. You can absolutely add other types of fruit. If you use bananas or apples, toss them with a little lemon juice first to keep them from browning. It is plenty sweet! Don’t let the sour cream scare you off. I’ve had this made with yogurt instead of sour cream but I like the sour cream version best! My sister and I both remember Mom adding a can of tiny shrimp to this back in the early 60s. Mom is gone now, and nobody else remembers. Has anyone else ever heard of doing that? Please help us clear up this odd mystery. 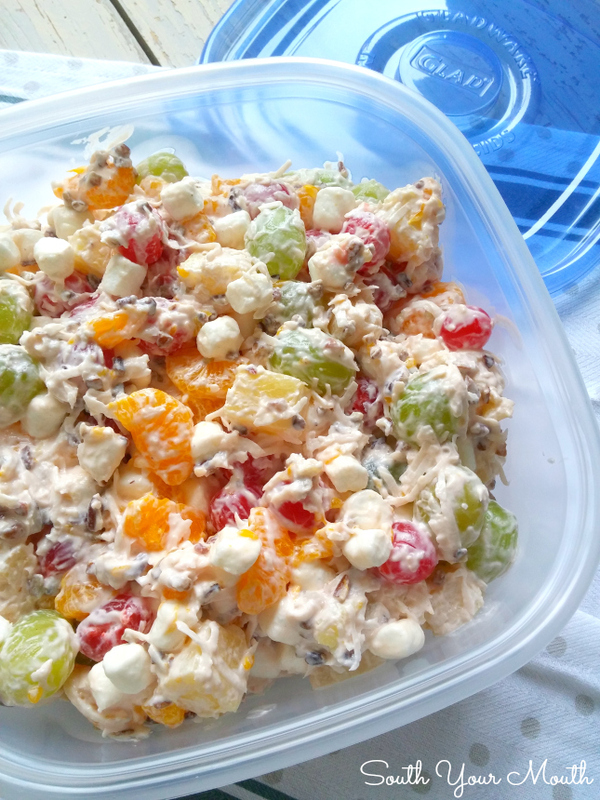 Could it have been a Russian or Olivier salad which had cooked vegetables (potatoes, peas, carrots) and fruit (pineapple, grape, oranges, apple) in a mayo/sour cream dressing! My mom always made one during the holidays and called it '24-Hour Salad' but I think it involves some egg whites and other stuff that seems complicated (but I'm sure it's not) ... but this looks amazing and easy and I'm making it next week!!! I am so happy you posted this!!! My boyfriend's sister asked me to bring a fruit salad of some kind to Thanksgiving lunch and this fits the bill perfectly! Boom! Done! Happy Thanksgiving to you too!! Boy does this sound good. Just printed it to take to FL for the winter. I love reading your stories about the recipes you share. I have your cookbook on my Christmas list and am crossing my fingers. Happy Thanksgiving. aka Five Cup Salad, as I recall. So good! So delicious and beautiful! Thanks so much for sharing with us at Weekend Potluck. Oh Yum! This is one of my favorite things! Well, I'm 79 & my grandmother's was identical to yours, including the green grapes but she added some banana that had been quartered lengthwise & then sliced across, sprinkled with a bit of lemon juice to prevent browning, the only difference is that our nuts were chopped walnuts because all the family preferred walnuts in this to pecans. Thank you so much for bringing to my memory. I had a collection of cookbooks and family recipes that I lost in a long distance move...I haven't made this in ages & it goes beautifully with so many things. I've never seen your blog before but have been going through it. It is beautifully done. 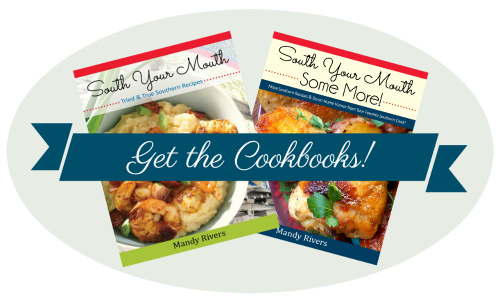 You put a lot of thought, love and delicious recipes into it Mandy, I just subscribed. I will definitely be back...Have a blessed week! 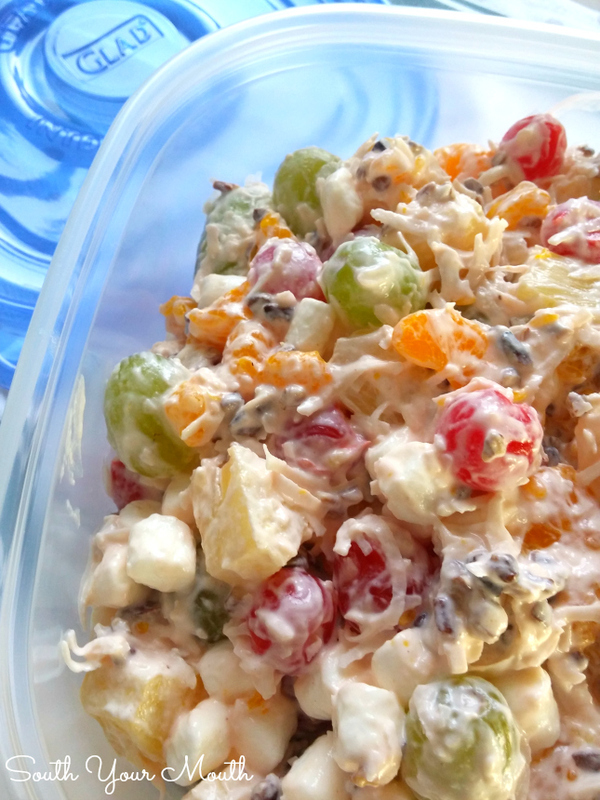 OURS WAS APPLES, BANANAS, PINEAPPLE CHUNKS, ORANGES, CHERRIES AND WALNUTS TOSSED WITH MIRACLE WHIP! MY MOM MADE THIS EVERY THANKSGIVING AND CHRISTMAS! How far ahead can I make this? Or how long will it keep in the fridge? I wouldn't make it more than a day ahead of when I plan to serve it. The fruit starts to weep a little after a couple days and things will get pretty juicy. It will all taste fantastic but won't look as pretty. That's my recipe, or rather, my Mom's recipe minus the cherries. I'm going to add the cherries next time just because it looks so pretty.